Two weeks ago I treated my wife to a great romantic dinner that I planed and surprised her with when she came home from work. First I did not tell my wife that I had the day off from work. While she was working I redecorated the entire dining room with little things. I put some crazy red strips on the walls, moved our big dining table in to the guest room and replaced it with a smaller lower one. I then put some siting pillows around the table. I found a few red scarfs that I wrapped around two large table lamps so the whole room was illuminated with red glow. After that I prepared her favorite dish, chicken with spinach and asparagus. I decorated the table with a silk tablecloth and rose petals. I put out some plates and our silver cutlery set. I light up two tall candles and then I wait for my wife to come back from work, and when she did we had a great romantic dinner! What a wonderful idea...you sound like you're a keeper! In this day and age so many couples are busy working a couple of jobs to make ends meet, nice to see there are still some romantic guys out there. Join in and write your own page! It's easy to do. How? 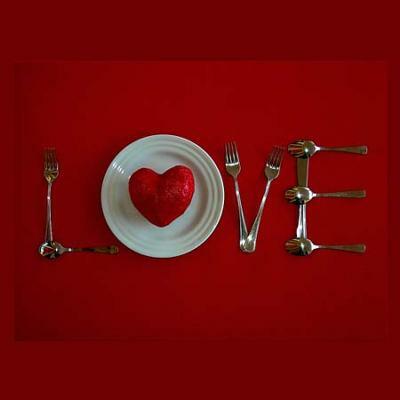 Simply click here to return to What's Your Romantic Dinner Idea?.